That Nieman story is not really accurate in re: to the reasoning. One thing that happened as a part of that was that we implemented a new user registration system last year (which tied in with the increased levels of personalization that we have been undertaking). It meant that particular aspect of the site (registration) was no longer connected into the Go domain anymore. So, as we looked to continue to update and clean up the code base of our sites (as part of that continued iteration following the relaunch) we could make this change. It is true that SEO (generally) is certainly a consideration in the overall operations of our sites (We’ve been applying and evolving best practices for SEO for a long time, and were aware of 301s for years). But that wasn’t the reason for this. Also worth noting: If I am not mistaken, the tweet it references to form the basis of that suggestion in the article is from last week. This is a project that has been underway for much longer than that (if you factor in what a project like this entails — updating 15+ years of references in code, URLs, etc you can see that it is a bigger project than it might seem to the outside observer). In a merger of the two online sports news giants, top executives at ESPN.com announced Thursday that they have fully acquired and subsumed rival website ESPN.go.com. “The audience of ESPN.com and the audience of ESPN.go.com overlapped so much that this move made the most sense,” said ESPN.com vice president Kevin Jackson, explaining that fans will no longer have to check both websites for complete sports news coverage. 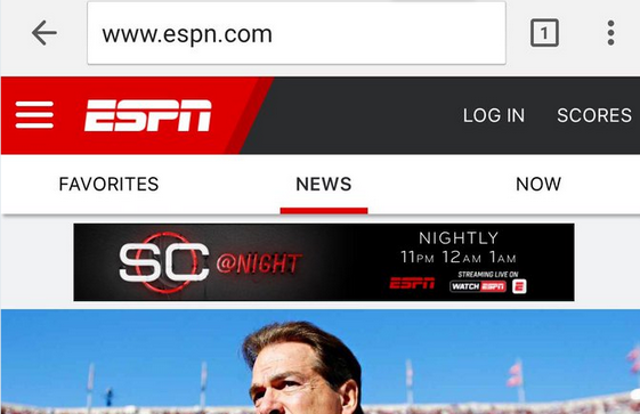 “Obviously, getting the traffic that was going to ESPN.go.com is huge for us. But there’s also just a lot of mutual respect and admiration between our staff and the ESPN.go.com staff. We’re very excited to start working together.” With the blockbuster acquisition complete, ESPN.com will reportedly now set its sights on picking up one or both of www.espn.com and http://espn.com.